Faculty of Health Universitas Dian Nuswantoro (UDINUS) continue to intensively reduce tuberculosis (TB) in Central Java. Through 'District Based Public Private Mix for Puskesmas in Semarang City' program, Faculty of Health UDINUS invites all public and private organizations to be active in dealing TB. Tuberculosis or commonly called TB is a respiratory disease caused by mycobacterium, which multiplies inside some parts of body that have blood stream and oxygen. The bacteria usually spreads through the blood vessels and lymph nodes, but primarily attacks the lungs. The bacteria can kill tissues from infected organs and threatening the life of the sufferers if they are not treated well. In fact, Semarang is the number four with the most TB sufferers in Central Java. UDINUS’ Faculty of Health lecturer as well as field coordinator of tuberculosis prevention activities in Indonesia, Eti Rimawati SKM, M. Kes said that UDINUS continued TB prevention activities which previously had been done in two community health clinics namely Tlogosari Wetan and Tlogosari Kulon. In the future, District Based Public Private Mix for Puskesmas in Semarang City program will apply the concept of District Based PPM as well as coordinate 16 community health clinics in Semarang. "This program will be run in two sessions, internal and external sessions. For internal session, we will involve all community health clinics’ staff to take an active role in dealing TB. As for the external session we will involve all health facilities (Faskes) such as the pharmacy and also the doctor, "she said. According to Eti, the series of activities such as finding the sufferers and treatment will be conducted from June to November 2018. She said that TB prevention activities were a grant from the Koninklijke Nederlandse Centrale Vereniging tot bestrijding der Tuberculose (KNCV) Tuberculosis Foundation Indonesia. 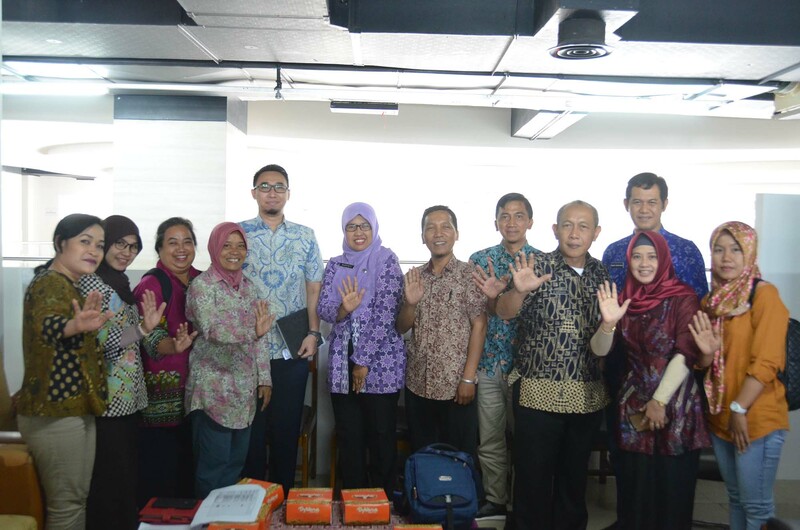 "UDINUS is trusted by the KNCV Tuberculosis Foundation Indonesia to assist the government in reducing TB cases in Indonesia. We are focus on Semarang first because there are still many TB cases here, "said Eti. Koninklijke Nederlandse Centrale Vereniging tot bestrijding der Tuberculose (KNCV) Tuberculosis Foundation Indonesia itself is an international non-profit organization that focus on the alleviation of tuberculosis (TB) worldwide by strengthening health systems in TB control at global and local levels. KNCV headquarter is in Den Haag, Netherlands. The organization becomes a platform for doctors, researchers, training experts, nurses and epidemiologists who focus on TB control. The number of TB cases in Semarang is also confirmed by Head of Tuberculosis Control Department of Semarang City Health Office, Maryati. She said more than 2000 sufferers have been discovered until 2018 and we continue to find TB sufferers until 2020. According to her, the role of UDINUS in dealing TB in Semarang City is very good. It will help a lot central and local government. "We expect until 2020 the discovery of sufferers continues to increase and after 2020 until 2025 there is no additional sufferers. Furthermore, we expect in 2025 TB cases in Semarang will be reduced and the sufferers treated well as now we are looking for the cause of TB, "She said.